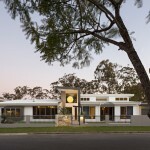 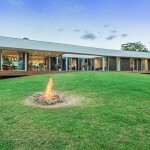 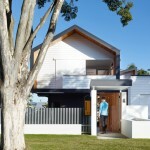 This new home in a quiet suburban street of Brisbane, Australia, is positioned to take advantage of the corner lot. 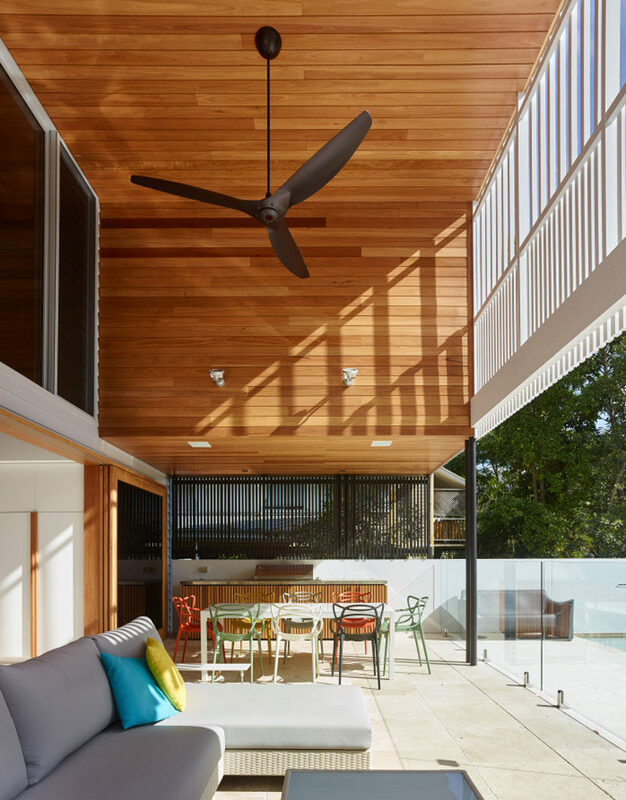 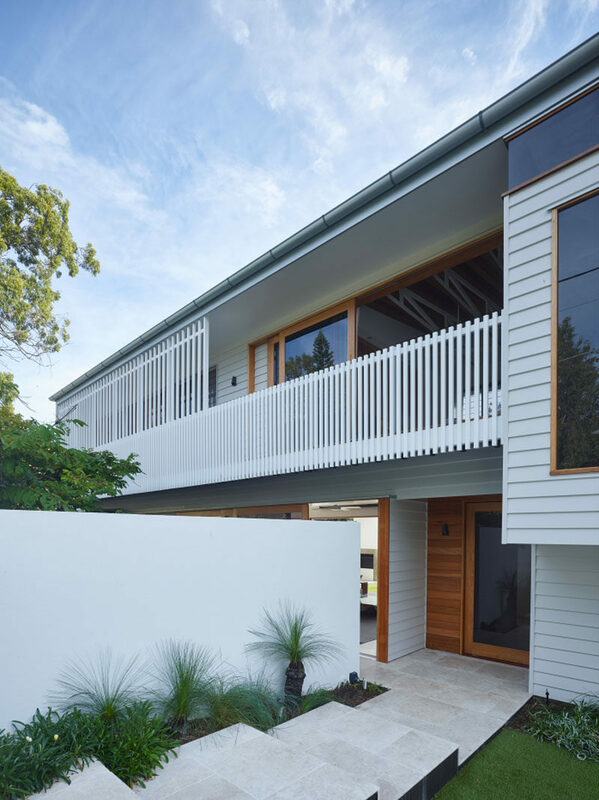 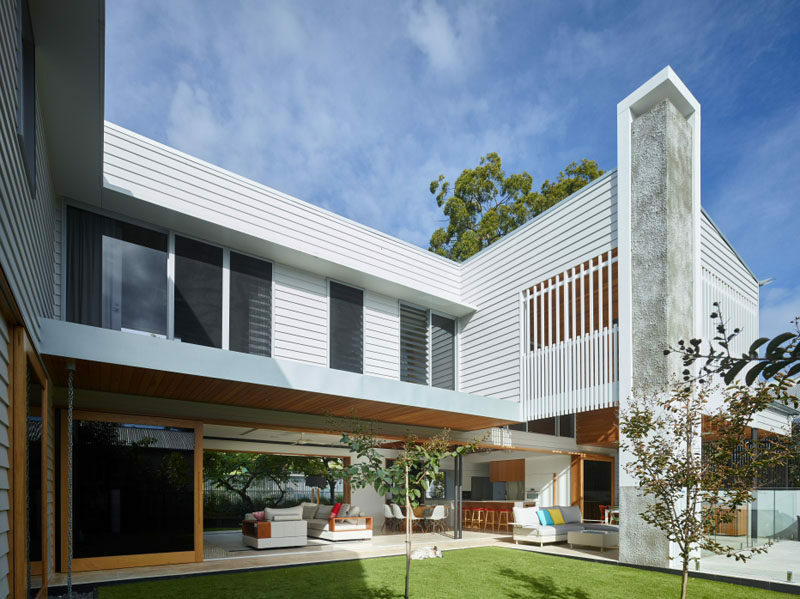 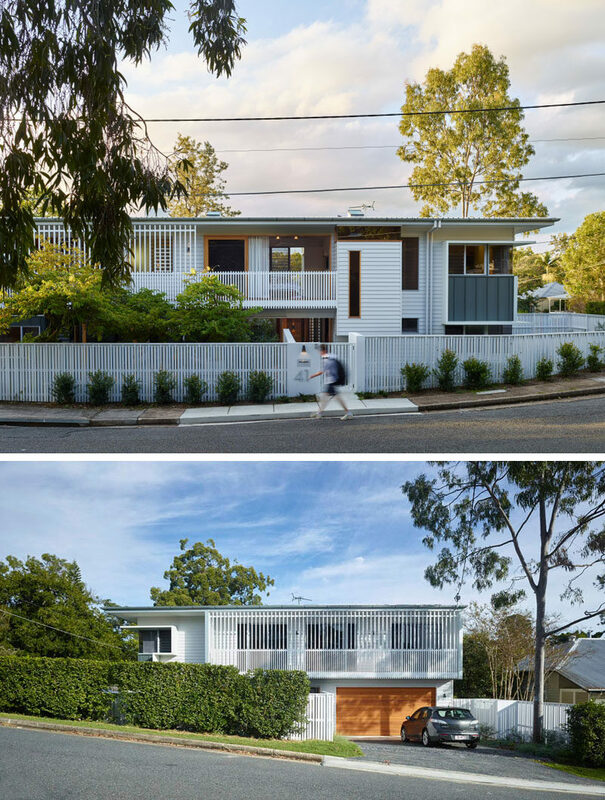 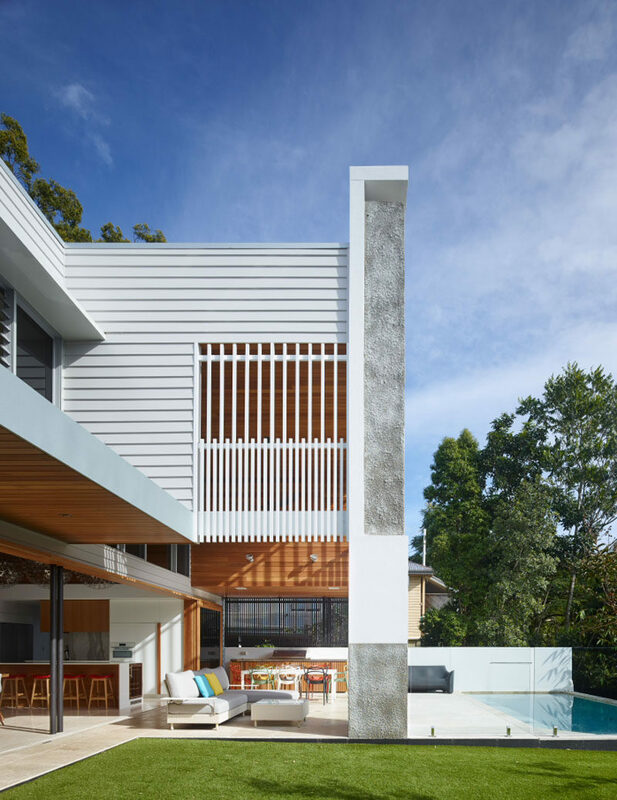 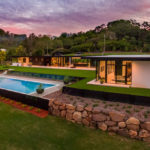 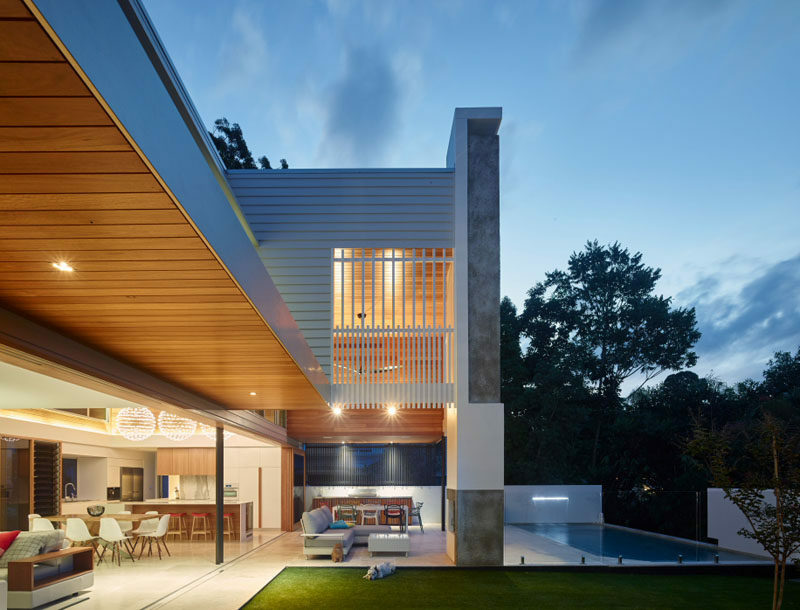 The home, designed by Shaun Lockyer Architects, is clad in white siding with occasional screened elements that offer some privacy and shade from the sun. 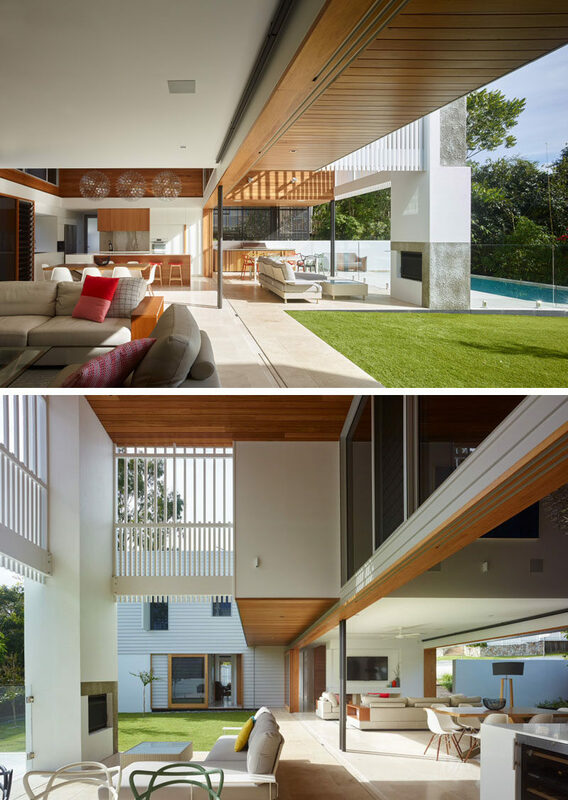 The home blurs the lines of indoor and outdoor living, with the main floor opening up to the backyard. 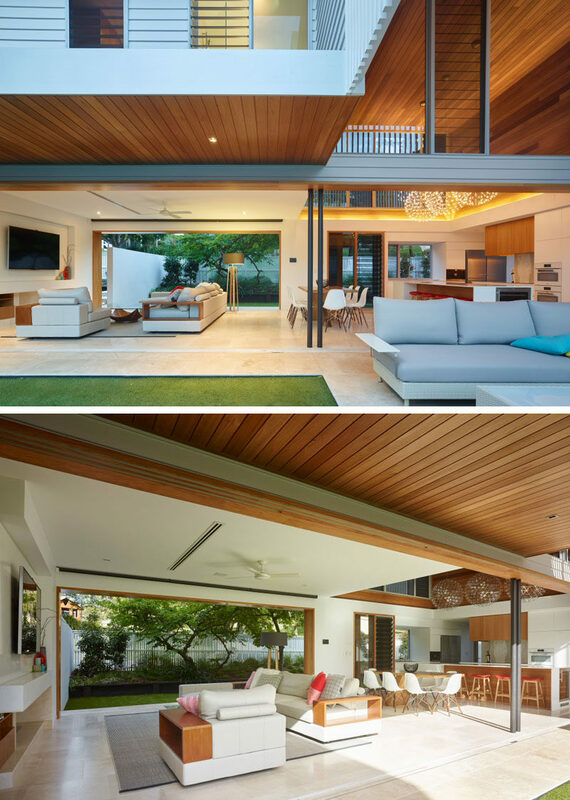 The shared indoor/outdoor living area includes a separate dining area and an outdoor lounge with a fireplace. 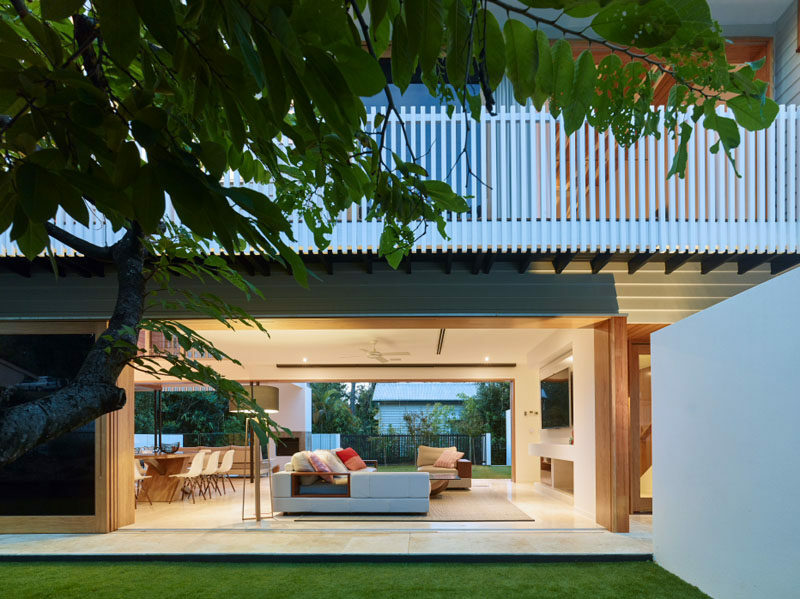 The main living area opens up on the other side to another courtyard with outdoor space. 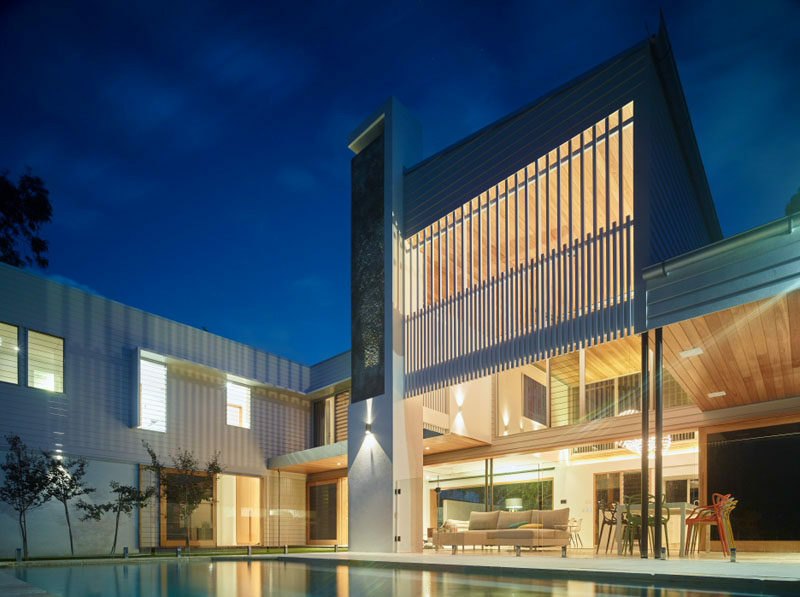 At night,the space is lit up inside and out, making details like the double-height wooden ceiling a focal point.